I have actually been writing for most of my life. At the age of seven, a school teacher thought my short stories were so good that she took them home for Christmas to show the family – unfortunately she then lost them! Five years later, when I was 12, I had my first article published in a national newspaper – and after that I never looked back. However, I have always done many other things besides writing. I have travelled the world, visiting around 70 countries. I have a degree in psychology and I have worked as an occupational psychologist. I have also been a meditation teacher, and I worked in marketing and market research for some years. I practise yoga, have a longstanding interest in complimentary medicine, and have been a cat owner for more than 30 years. Until recently I also flew both small aeroplanes and helicopters, and I held a Commercial Helicopter Licence and Instructor’s Rating. I used to instruct part time for Staffordshire Helicopters at Tatenhill Airfield, near Burton-on-Trent, in the English East Midlands, and also Alpha Helicopters at Sheffield City Airport. I combine all these interests and many others in my writing. I wrote on aviation for a number of magazines for some years, and in 2004 one of my aviation articles was short-listed for an ‘Aerospace Journalist of the Year’ award. I still have a two regular monthly slots, one in ‘Flight Training News’, the other in ‘Global Aviator’, a South African publication. My work has included flight test articles, instructional features, and profiles of famous pilots. I am also the former newsletter editor for the British Women Pilots Association. 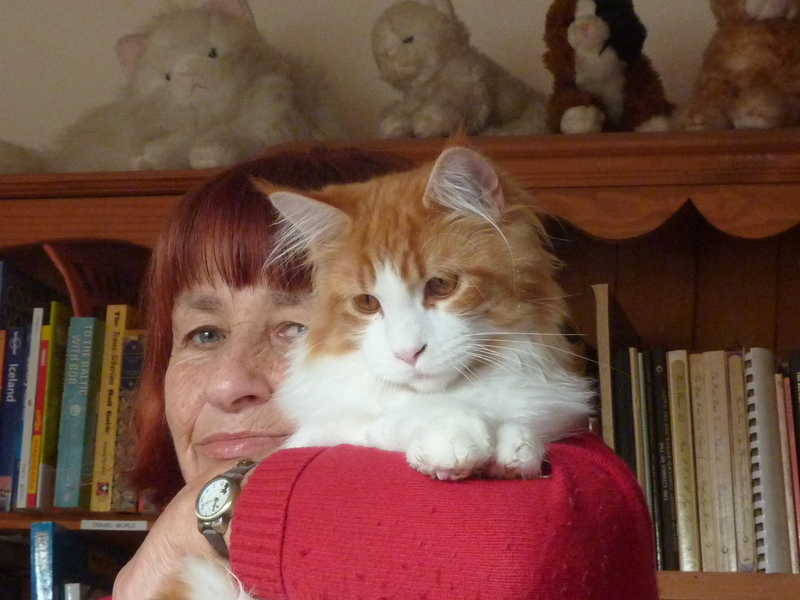 I have had articles on non-aviation subjects published in ‘Your Cat’, ‘Visa’, and various other publications, and I write regularly for the website ‘pets4homes’. My books include ‘The Helicopter Pilot’s Companion‘, which was published by Crowood Press in October 2008, and followed by a second book, ‘Flying Helicopters – a Companion to the PPL(H)‘ in August 2011. These were not my first published books; that honour goes to ‘Midges, Maps and Muesli‘, an account of a 5,000 mile walk around the coast of Britain which I completed in 1987; this is also available as an ebook. I have also written a number of ebooks on aviation and some other subjects; details are available on this site.